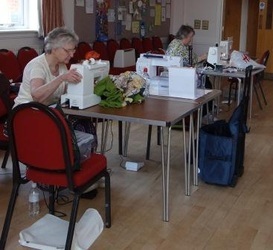 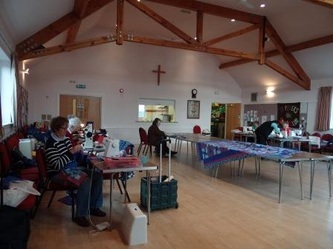 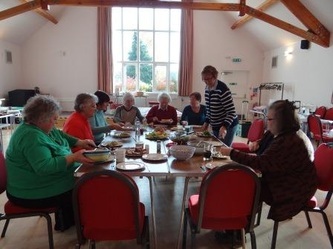 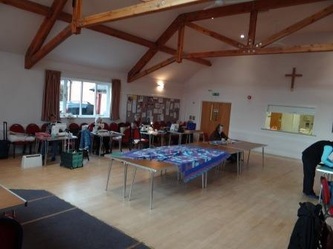 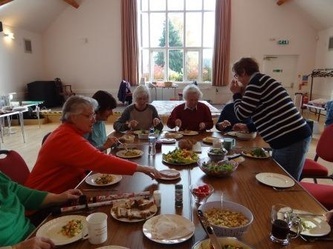 Another delightful day spent sewing with friends at Burley Memorial Hall! 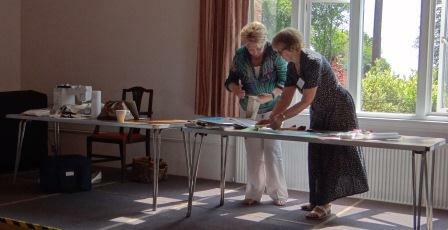 Once again we enjoyed a successful event. 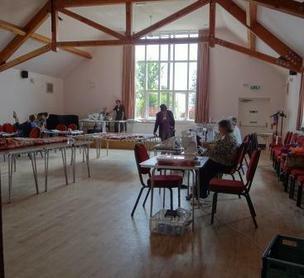 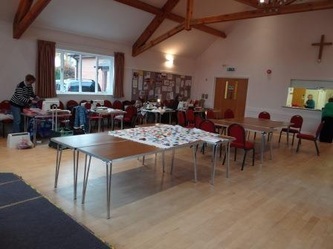 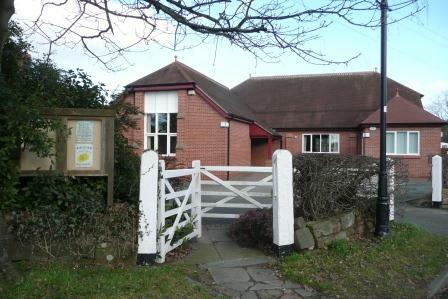 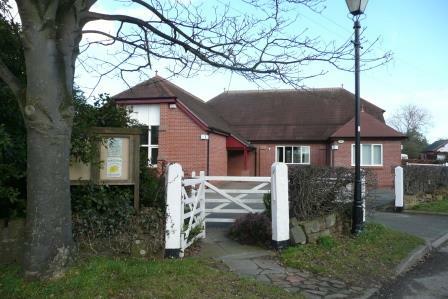 It was a beautiful sunny day and Burley Memorial Hall was very bright and airy. 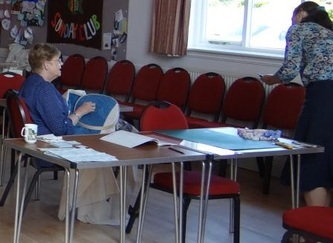 It is such a delight to spend time sewing with friends. 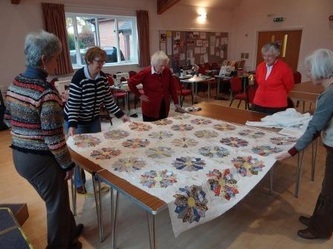 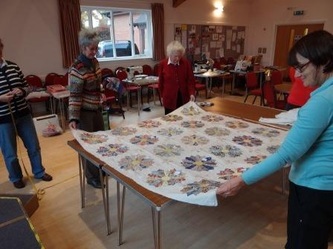 A variety of different projects were underway from machine piecing to hand quilting. 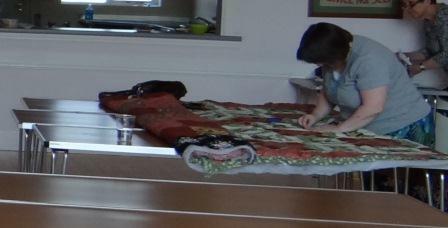 ...and the big tables really help to take some of the back ache out of layering and basting a quilt.